Tag Archive | "Glastonbury Festival"
We are delighted to announce that Roma Palace, one of our three long list entries for the Glastonbury Festival Emerging Talent competition, has made it through to this month’s finals. 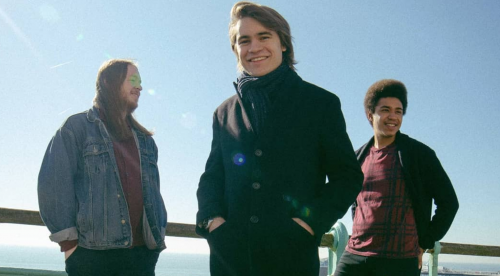 “Brighton based Roma Palace impressed us with their fresh take on indie pop and rock, with a slice of blues thrown into the mix,” said Neonfiller co-editor Joe Lepper, who is one of 30 music writers to help compile the 90-strong longlist for this year’s competition. Commiserations to our other two choices, Saachi and Laura Goldthorpe, who also submitted very strong entries, as well as the other long-listers who missed out. Roma Palace will now compete with Che Lingo, iiola, LIINES, Marie White, Shunaji, Swimming Girls and YAMAYA in a live finals on April 27. The winner will earn a main stage slot at this year’s Glastonbury Festival a well as a £5,000 Talent Development prize from PRS Foundation. Two runners up will also each be awarded a £2,5000 PRS Foundation prize. 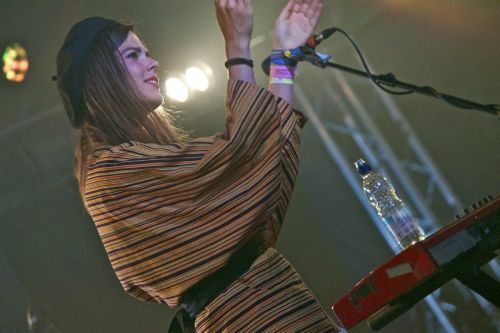 The 90 acts vying for a main stage slot and a £5,000 prize in the Glastonbury Festival Emerging Talent Competition 2019 have been revealed. 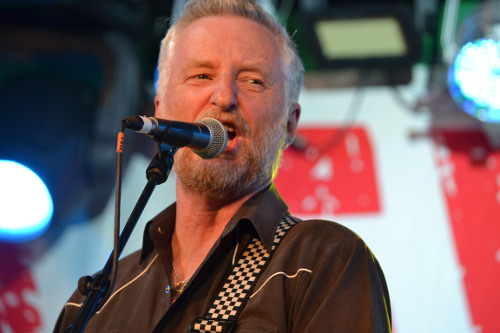 The successful acts were chosen by 30 music online music writers, including Neonfiller’s Joe Lepper. 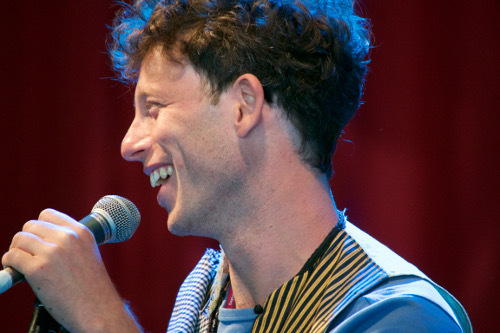 Each writer selected three acts, with Joe picking singer-songwriter Laura Goldthorp, Brighton band Roma Palace and London jazz pop act Saachi. 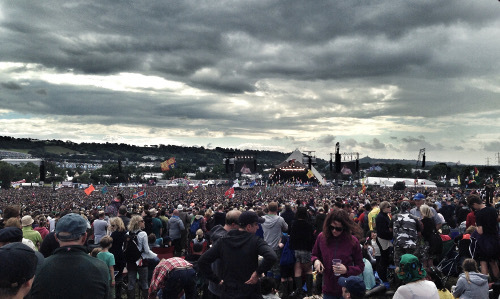 Songs submitted by the acts can be found via the Glastonbury Festival website. 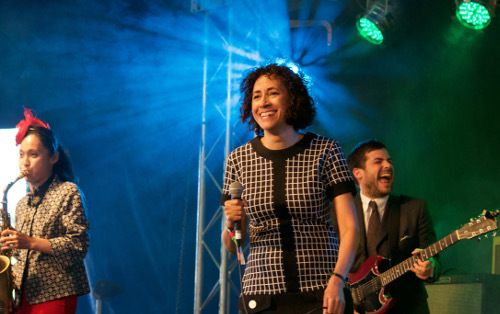 The acts will now be whittled down to an eight-strong shortlist, who will compete in a live finals next month in Pilton, near to the festival site. 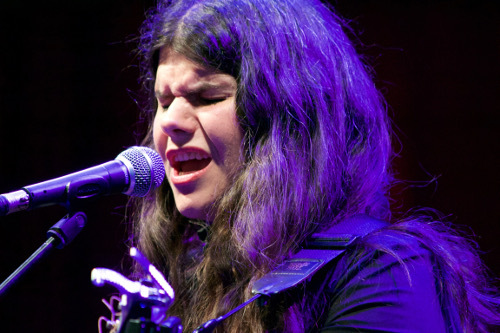 The winners will earn a main stage slot as well as a £5,000 PRS for Music Foundation Talent Development prize. Two runners up will also each be awarded a £2,500 from PRS for Music Foundation. Previous winners have included She Drew the Gun, who scooped the prize in 2016 and impressed recently during their UK tour. 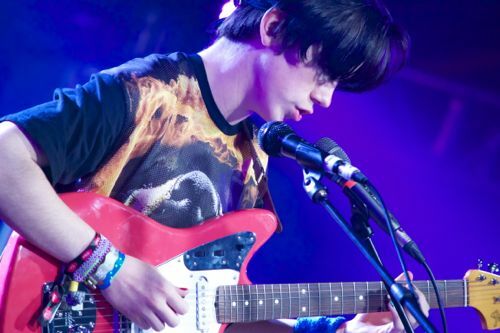 Declan McKenna is another notable winner, signing for Columbia shortly after winning in 2015. 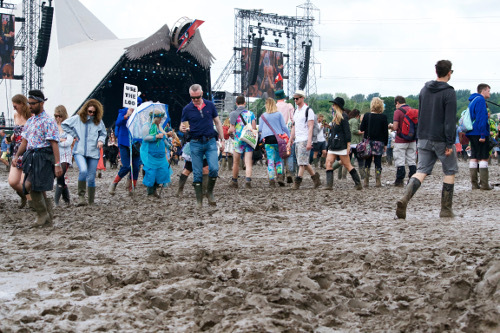 With five Glastonbury Festivals, from 2011 to 2016, under our belt we decided to have a look back at some of our favourite gigs over that time. Feel free to mention your favourite Glastonbury performance in the comment section below or let us know if you also saw any of these acts. Cave and co were scheduled before trustafarian folksters Mumford and Sons on the Pyramid Stage. The Bad Seeds promptly took ownership of the iconic main stage and presented the waistcoat wearing fops with one of the festival’s greatest ever ‘follow that, arseholes’ sets. 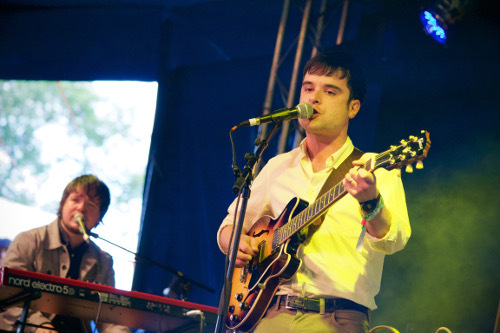 Resplendent in silk black suit and paisley shirt Cave provided a master class in how to perform at a festival. Each soft moment perfectly placed among the dangerous, violent lyrics and tales of murder that Cave has excelled at throughout his career. The brooding epic Jubilee Street became an instant live favourite, as were older classics such as Mercy Seat and a spellbinding encore of Red Right Hand. I often go to Bragg’s regular Friday night set at this stage that he helps curate but this set, just hours after the shocking Brexit vote outcome was announced, was by far the best. The crowd’s roar after hits like Milkman of Human Kindness and Sexuality was “just what I needed”, he said, after the day’s testing events. We needed it too. Even Bragg admitted towards the end that this had been one of his best ever gigs and certainly it was the busiest I’ve ever seen the Leftfield in five years as a regular. There Is A Power In A Union sing-a-long was intense with its added topicality and New England was dutifully rousing. Activism was duly recharged. 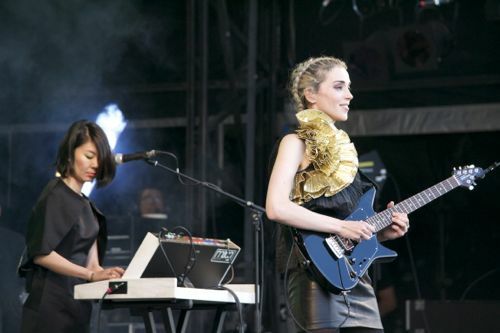 St Vincent provided one of the most astounding show of 2014’s event. Dressed in gold and black she moved around the stage like a android doll who has just discovered rebellion. Coordinated dancing, theatrics and two of the most insane crowd surfing moments I’ve witnessed were incredible on their own and that’s without mentioning the superb music and her sensational guitar playing. Your Lips Are Red and a tender version of Prince Johnny were among many highlights of an incredible masterclass in performance and music. Poor John had flu but this somehow made his performance at the John Peel stage better, with the crowd urged to sing-along and wave their arms around to keep him going. 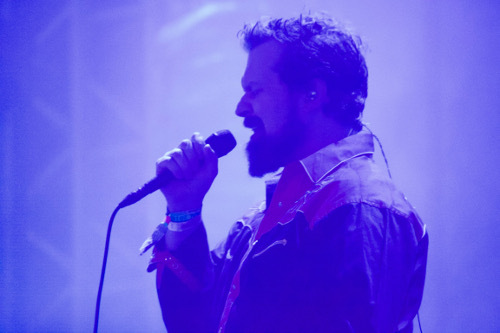 He has come along way as a performer since I last saw him at Glastonbury at the Park Stage in 2014 and he is now a proper diva, albeit one in a country and western shirt and a massive beard. Queen of Denmark, Greatest Mother Fucker were highlights but Glacier blew the whole gig apart with its emotional brilliance. 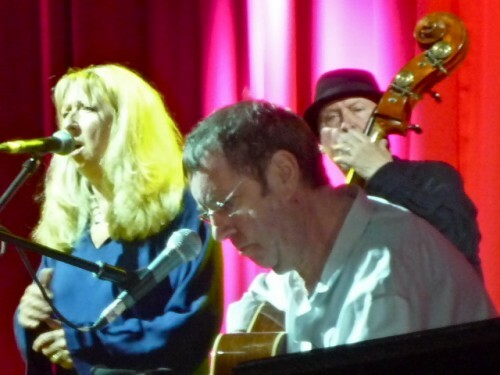 Reformed for this special gig at the Acoustic stage, folk super group Pentangle excelled during a set that featured the full original line up of guitarists Bert Jansch and John Renbourn, singer Jacqui McShee, drummer Terry Cox and bassist Danny Thompson. For a folk fan like me this was a very special occasion. Even though they’d barely rehearsed together the old magic was still there. Watching Renbourn weave his intricate guitar playing around Jansch’s riffs and Thompson and Cox’s jazz folk rhythms was one of my favourite musical moments at the 2011 festival. They seemed delighted to be there as they swept though tracks such as ‘Hunting Song’, ‘Bruton Town’, ‘House Carpenter’ and ‘Cruel Sister’. This was an experience to cherish. Tragically it was also the last chance to see Jansch, who sadly passed away just two months later. Renbourne is also no longer with us and the loss of these two pioneers of British folk music makes this chance to have seen them even more special. 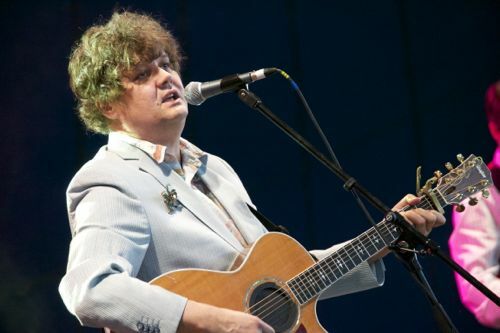 Ron Sexsmith appeared in 2015 to celebrate two decades of music, but up until his engaging set his music had completely evaded me somehow. Through a career spanning set, including Strawberry Blonde and There’s a Rhythm to the more recent Getaway Car, he had me hooked. For a week later I was still humming these tracks, that I had only heard once – that’s how good a song writer he is. Another sensational performance at the 2015 event was Parisian eccentric surf-dance-you name it-pop act La Femme. At their William’s Green set there was crowd surfing, crazy dancing and wonderful banter. This is a fun party band who were on top form as they showcased tracks from their just released debut album Psycho Tropical Brazil. Like a crazed bird Johnson made a mockery of the cancer that the previous year threatened to take his life, as he weaved around stage, machine gun-chording the audience with his trademark Fender telecaster. He and his regular bassist Norman Watt-Roy are a sheer joy to watch. 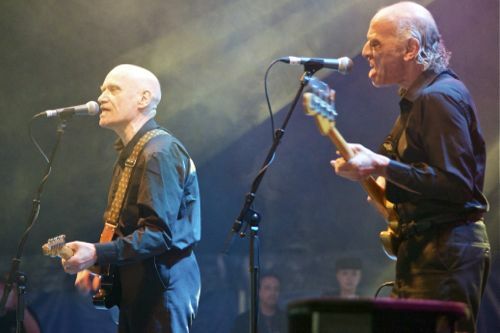 For my final act of Glastonbury 2015 I ventured over to the half full John Peel Stage to see Franz Ferdinand with Sparks, who were competing with the Chemical Brothers and The Who. This didn’t stop them putting on one of this year’s best sets as they ripped through each other’s hits and showcased their remarkable and fun joint album from 2015. 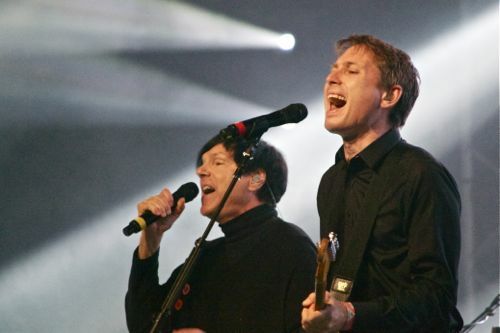 Highlights included Alex Kapranos and Russell Mael’s endearing acting during the splendidly ironic Collaborations Don’t Work. Top moment though was the surprise sight of Ron Mael emerging from behind his keyboard to laugh and dance for a quick 30 second mesmerising burst of pop history. Not bad dancing skills for a man for whom John Lennon once said “bloody hell, its Hitler on TV. I love a band that makes a bit of an effort and Ok Go certainly do that. 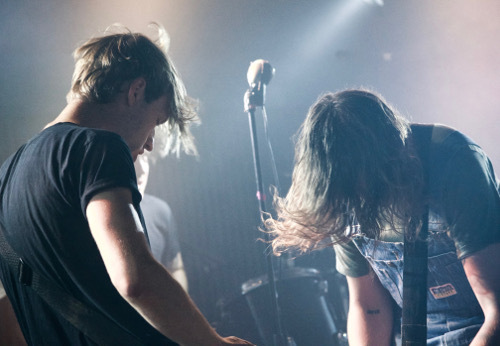 Known for their inventive videos this US pop rock are equally impressive live. 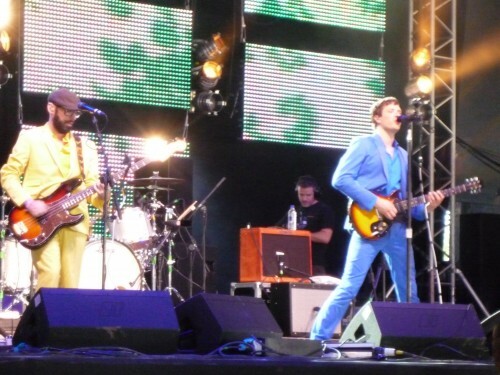 With each member dressed in a bright coloured suit, I was left impressed with both their showmanship and song writing. Squeeze are the nearest comparison as OK Go as put in for me the performance of the 2011 festival, featuring great versions of ‘Here it Goes Again’ (the one with the treadmill video) as well as ‘This Too Shall Pass’ and ‘Sky Scrapers’ from their then most recent album Of The Blue Colour of the Sky. It was a masterclass in audience engagement too, with a member of the crowd joining them on guitar duty. 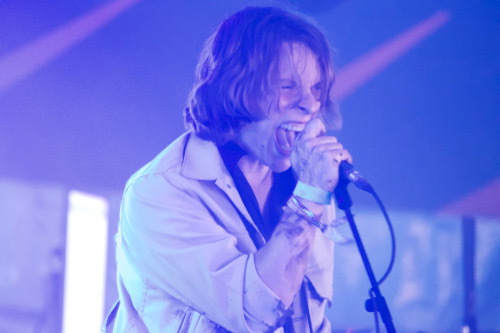 Each year at the live finals for the Glastonbury Festival Emerging Talent Competition particular themes emerge, which give a good indicator into the current thinking of festival bookers and music journalists. 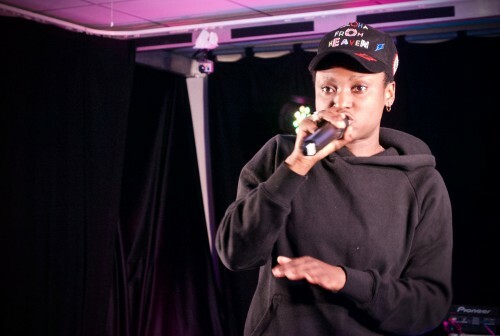 At last year’s event attitude proved the winning theme, with She Drew the Gun’s ability to speak to a generation of young people earning the top prize, of a £5,000 PRS Foundation talent development grant and a main stage slot. The previous year it was melody that shone through, being delivered by teenager Declan McKenna, whose track Brazil has arguably never been bettered in the competition’s history for sheer pop savvyness. Within months he was signed by Columbia and will be appearing at this year’s festival, for the third time in his fledgling career. This year it was all about singing talent with all eight acts showcasing top vocal gymnastics. In the end the Glastonbury Festival Emerging Talent Competition judges, including Michael and Emily Eavis, Glastonbury stage bookers and music business professionals, went for the act with the biggest voice of them all, Josh Barry, a soul singer from London who has been a stalwart of the underground dance scene for a number of years and once even auditioned for Britain’s Got Talent. His was an incredibly passionate live performance and on a night of tonsil based excellence his victory was inevitable. 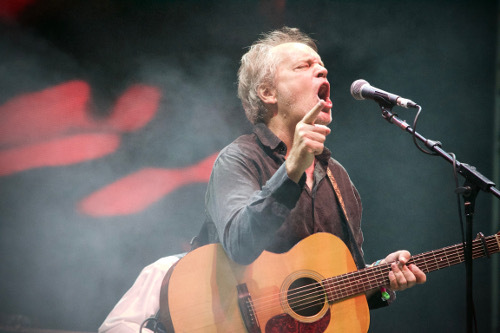 He will own whichever main stage he is allocated and make good use of his £5,000 PRS prize. In terms of unearthing original talent, Young Yizzy and Flohio were worthy runners up. 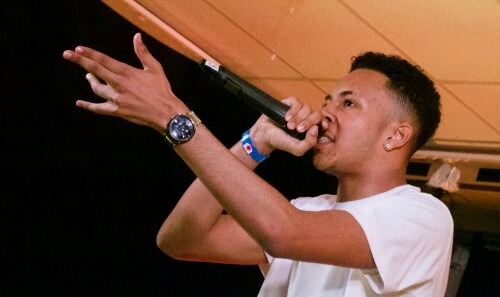 These London based young MCs are already gathering critical acclaim and the teenage Young Yizzy is one of the UK’s emerging grime stars. He was a close second to Barry in terms of working a crowd, with a stage invasion at the end of his two track set a highlight of the night. Flohio oozed star appeal and like She Drew the Gun, took the mantle of spokesperson for a generation. As a website focused mainly on indie and alternative guitar music the charismatic Flohio took me out of my comfort zone and I loved every minute of it. Both Flohio and Young Yizzy scooped £2,500 PRS Foundation grants to help further their careers, which on this evidence, will go from strength to strength. It sounds patronising and clichéd to say that all eight finalists; also including Lucas & King, Lilith Ai, Silences, WOWH and TYNI, were winners. But as all gain a slot somewhere on the festival bill and have garnered some excellent publicity from reaching the last eight, they have in no way lost out. 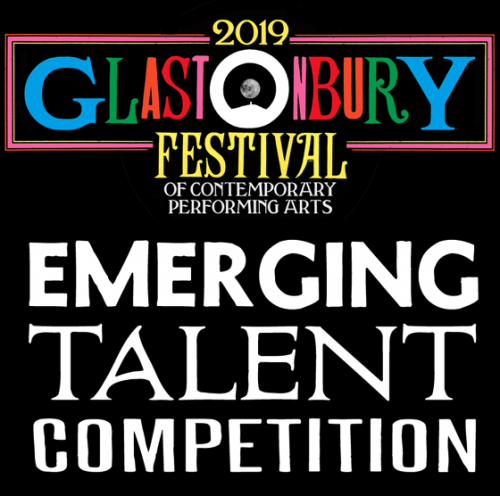 As a long list judge for the Glastonbury Festival Emerging Talent Competition, and regular attendee at these finals, I’m looking forward to the next emerging theme. Although I’ll have to wait two years, as the festival takes a year’s break next year to let the grass at Worthy Farm recover. For more information about the competition and live final click here. Visit our Facebook page to see more pictures from the live final. 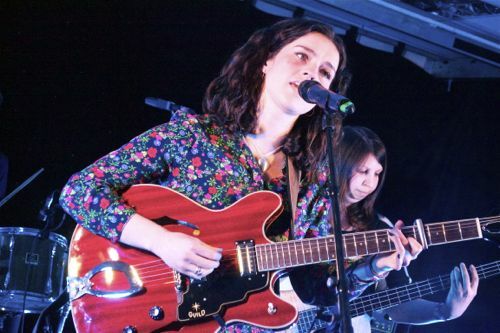 Of the four Glastonbury Festival Emerging Talent Competition finals I’ve attended this was perhaps the most surprising, with bands far exceeding the promise they showed from their submitted audio and video clips. 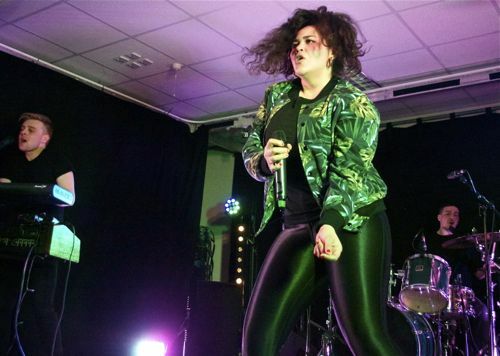 In most years the best sounding act from their submissions goes on to impress live at the competition’s annual finals at Pilton Working Men’s Club. This year was different with all the acts deciding to offer something far more than the simple promise on offer in their submissions. Of course each year the quality is high. An act has to be excellent to make the finals from an initial entry of thousands and a long list of 120 acts, picked by 40 music journalists and bloggers including myself. Based on this year’s final eight submissions, it was only really Bossy Love, with the sensational pop of Tell You What, that stood out for me. The rest though certainly proved me wrong, all stepping up a gear, especially eventual winner Wirral’s She Drew The Gun. 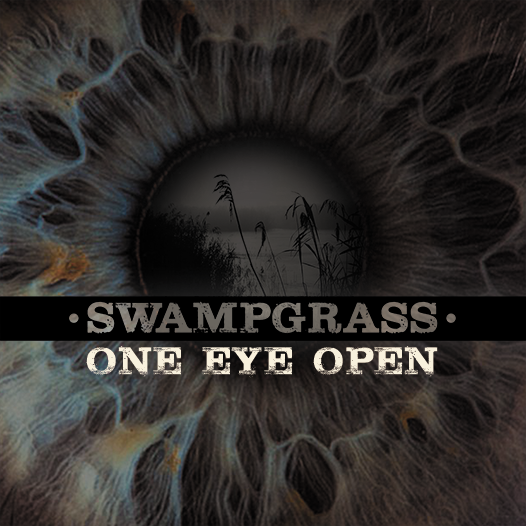 Here is a band that demands to be seen live with singer songwriter Louisa Roach’s delivery and stage presence offering some real hairs standing up on the back of your neck moments. As with their clip, their billing as dreamy psych-pop band on their Facebook stage also proved to be a masterclass in under selling. 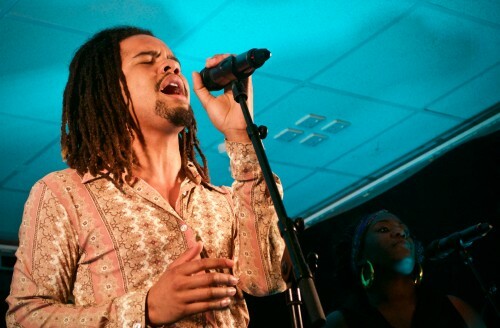 Live they are so much more, with Roach’s generation defining lyrics on the track Poem shining brightest. 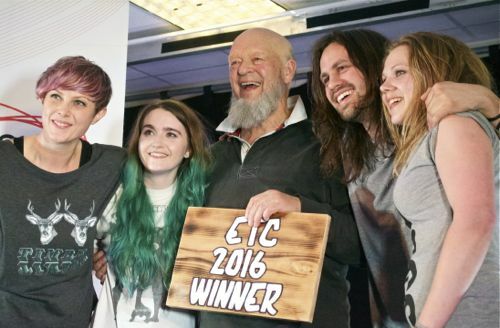 They were definitely my favourite on the night and thankfully also of the ETC judges, who include Festival organisers Michael and Emily Eavis. 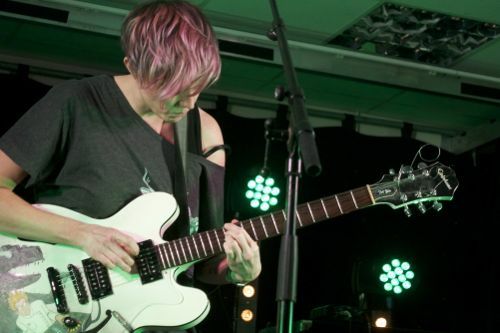 She Drew the Gun also win £5,000 talent development cash from PRS for Music Foundation as well as a main stage slot. Glasgow’s R&B Bossy Love impressed, as I expected, and marched into second place on the night. They have a “we are going to be famous and there is nothing you can do to stop our relentless juggernaut” vibe about them as they took to the stage. I can’t see many standing in their way. In third was another surprise – London folk singer Hattie Whitehead. As with She Drew The Gun, her Soundcloud clip offered promise but not much more. Live, with a full band and electric rather than acoustic guitar, it was a different story. The songs had depth and shine and she emerged as a genuine contender to win the first place prize. She and Bossy Love also grab £2,500 PRS for Music Foundation prizes as well as festival slots this year. 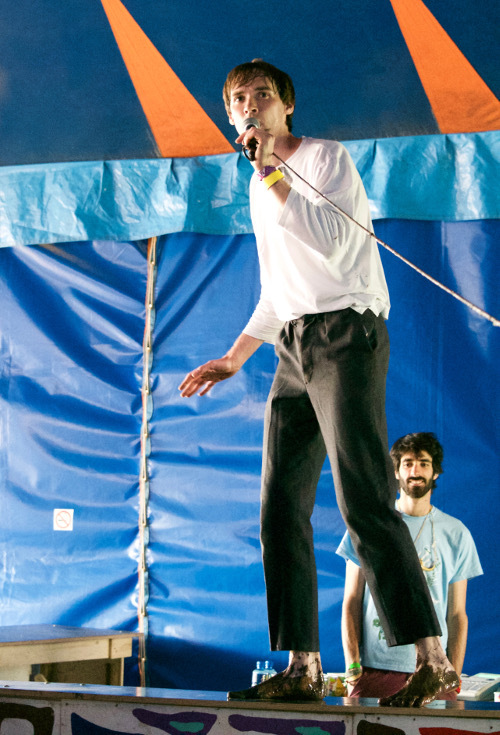 Also performing on the night were rapper Lady Sanity, 13th Floor Elevators-esque Early Ghost, south west of England singer/song-writer Henry Green, Marcus McCoan and London’s Gillbanks. All have also been awarded slots at the festival after their impressive performances on the night. To see more pictures from the night click here.